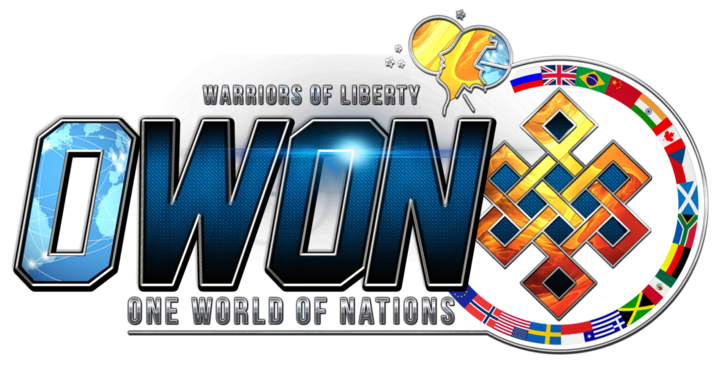 OWoN: Now this appalls us. You are being set up to be mass fleeced. None will escape. The US is totally corrupt. 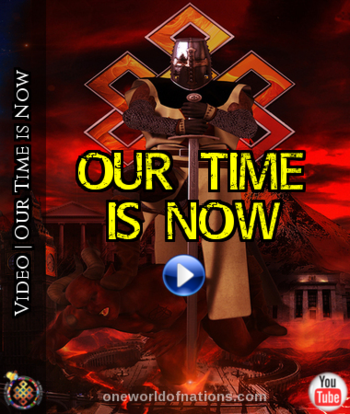 "NWO is coming fast if not stopped." 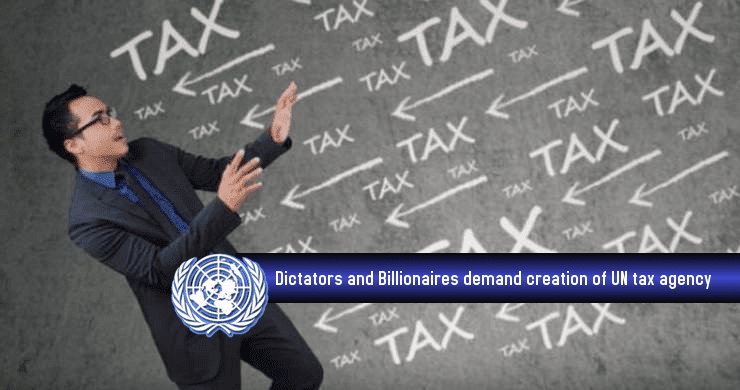 As globalist forces and the international institutions they control openly prepare to plunder humanity’s wealth, Third World dictators and tax-funded “civil society” groups have stepped up their demands for a United Nations tax authority — supposedly to ensure that they all get their “fair share” of the loot from Western taxpayers and businesses. The coalition to create the proposed UN tax regime includes more than 130 national governments and dictatorships involved in the G77, which recently demanded a "New World Order to Live Well," along with various shadowy front groups funded by the European Union and globalist billionaires such as Bill Gates. Key elements of the plot were unsuccesful, this time, but the global-tax agenda and those pushing it are not going away any time soon — and they did manage to create "Tax Inspectors Without Borders." The radical proposal to further empower the UN on tax issues faced some resistance at a recent UN summit in Ethiopia aimed at extracting trillions of dollars each year from humanity to shower on dictators, global governance, and "sustainable development” schemes. However, opponents of creating the UN tax agency were hardly arguing from a principled position. Instead, they were arguing in favor of further empowering other globalist outfits, such as the Organization for Economic Cooperation and Development (OECD), to impose the global tax regime on humanity. That is already underway, and the differences are largely irrelevant. But while the proposal for a full-fledged UN tax agency was defeated at the summit, global taxation apparatchiks did make some major progress moving the agenda forward. Among other schemes, delegates at the UN Financing for Development Conference in Addis Ababa last week approved a motion to have a UN Committee of Experts on International Tax Matters meet twice a year. Also unveiled at the summit by governments and globalists were “two parallel tax initiatives,” dubbed Tax Inspectors Without Borders (TIWB) and the Addis Ababa Tax Initiative. Both have major implications. The TIWB scheme is a partnership between the UN Development Program (UNDP) and the OECD, essentially a cartel of bloated high-tax governments that aims to hike and harmonize taxes worldwide while terrorizing nations with more competitive tax systems into submission. Under the new program, announced last week in Ethiopia, Western governments will send swarms of tax “experts” to Third World regimes to help them extract more wealth more efficiently from their subjects to finance “sustainable development” and other oppression. So, to help Third World dictators and regimes further empower themselves, Western tax experts will be deployed to help confiscate more wealth from those who produce it, the video explains. The propaganda film also pretends that it is totally normal and desirable for Third World governments and dictators to control everything from the healthcare to the education of those they misrule — despite the mountains of evidence showing that markets and entrepreneurs, not programs run by governments and tyrants, are the best way to create wealth and combat poverty. In other words, the Obama IRS — infamous for unlawfully persecuting political opponents of the administration and trying to cover it up by destroying the documentation and lying to Congress — will help the tax agencies of Third World dictators become more modern and efficient. One of the beneficiaries of the program will be the ruthless regime in Addis Ababa, where the scheme was unveiled, famous for persecuting journalists, murdering dissidents, kicking peasants off their land, and other state terror. The Ethiopian regime also hosts the Communist Chinese-built headquarters of the African Union, another collection of mostly brutal dictators, war lords, and terror regimes currently led by the genocidal Marxist dictator of Zimbabwe, Robert Mugabe. So, while the UN and the vast majority of its member regimes failed in their goal to set up a UN tax agency, they made great progress in advancing the global tax regime. Meanwhile, the functions that the proposed UN agency would have served — creating global tax rules, smashing tax competition, and siphoning more wealth from people’s pockets to squander on “sustainability” schemes — are already well underway. As The New American has been reporting for years, much of that is being done by the OECD, which continues to plot its global taxation regime from the shadows. From crushing the final vestiges of financial privacy rights to concocting new and improved ways to fleece businesses and individuals at the international level, OECD bureaucrats, who do not pay tax on their bloated tax-funded salaries, have been very busy. Most recently, the Paris-based cartel of bloated governments unveiled its plotting on so-called Base Erosion and Profit Shifting, or BEPS. The goal is to extract even more wealth from businesses (and ultimately consumers, investors, and workers) by writing global tax rules taking aim at legal strategies used by companies to lighten slightly the crushing tax burdens imposed by Big Government. Also underway at the OECD is a plan, modeled on Obama’s draconian and wildly unconstitutional FATCA regime, to automatically gather and share people’s most private financial information with governments and dictators worldwide. A dizzying array of schemes pushed by OECD and other globalist outfits is similarly aiming to harmonize tax regimes around the world in preparation, ultimately, for a global tax paid directly to self-styled international authorities.” The UN and its minions have been working fiendishly — and out in the open — to start implementing direct taxes for many years. But first, the groundwork must be laid. Aside from Third World dictators, one of the primary forces pushing to empower a UN tax agency was the European Network on Debt and Development (Eurodad). Despite being falsely painted as a so-called (non-governmental) civil society group, most of the outfit’s funding comes from European taxpayers through the EU, with most of the rest coming from billionaire globalists. “Eurodad is funded by its [largely tax-funded] members (about one third of its budget), by the European Commission, and by private foundations such as the Bill and Melinda Gates Foundation,” the outfit admits on its website. It was not immediately clear which companies she believed were “dodging taxes,” or whether she was referring to legal strategies to minimize the tax burden or actual tax evasion. However, conflating the two has become popular among tax-funded global-tax advocates and Big Government mongers. Various UN agencies and bureaucrats have thrown out wild estimates claiming that Third World regimes are losing up to $100 billion in tax revenues every year due to profit shifting and other legal tax avoidance plans. The implication, of course, is that the capital would be better in the hands of oppressive Third World regimes that have impoverished and often slaughtered the people they rule, rather than in the hands of the businesses that produce goods and services — and provide jobs — for those same people. 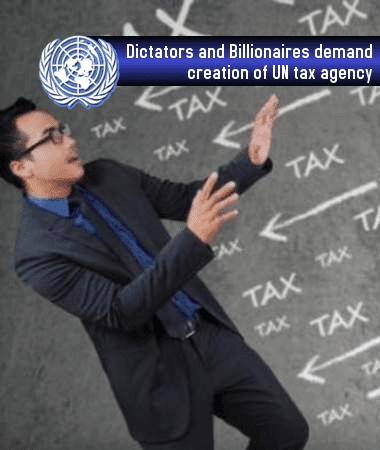 With strong support from the Obama administration, UN leadership, the EU, Communist China, and globalist forces worldwide, the scheme to create a UN tax agency — and ultimately a UN tax paid directly to the UN — is not going away. 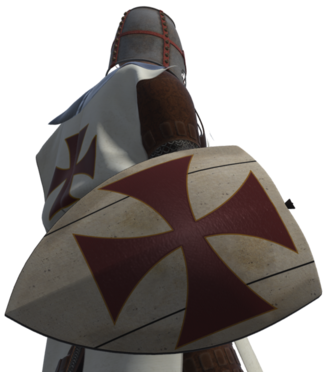 But if freedom, national sovereignty, and prosperity are going to survive into the future, humanity must become educated on the threat so it can be effectively resisted. The UN is dangerous and out-of-control already. Now imagine what it could do with its own independent revenue streams.